Knitting, Cross Stitch, Interior Decorating and everyday trials and tribulations of a multi tasker. 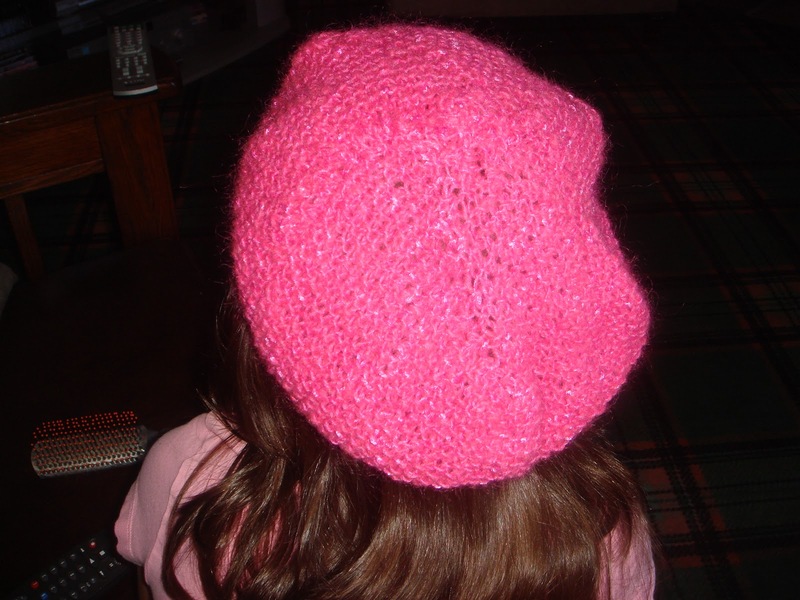 Knitted this little number up out of my stash of Lily Chin Fuschia Pink Mohair type yarn...I have tons of this stuff in beige ( nice warm colour of beige),, purple and white as well as the fuschia. I don't want to do just hats though ...shown on a very small but precious head here...I think the Fuschia colour really worked for this item. I am a serious multitasker and depending on the season that could be knitting, cross stitch, gardening, garden design, interior decorating, rug hooking, yoga and walking. I am not happy unless I am juggling several projects in the air at the same time. My main interest of course is my family and friends and creating a "beautiful life" for all...whatever that entails. 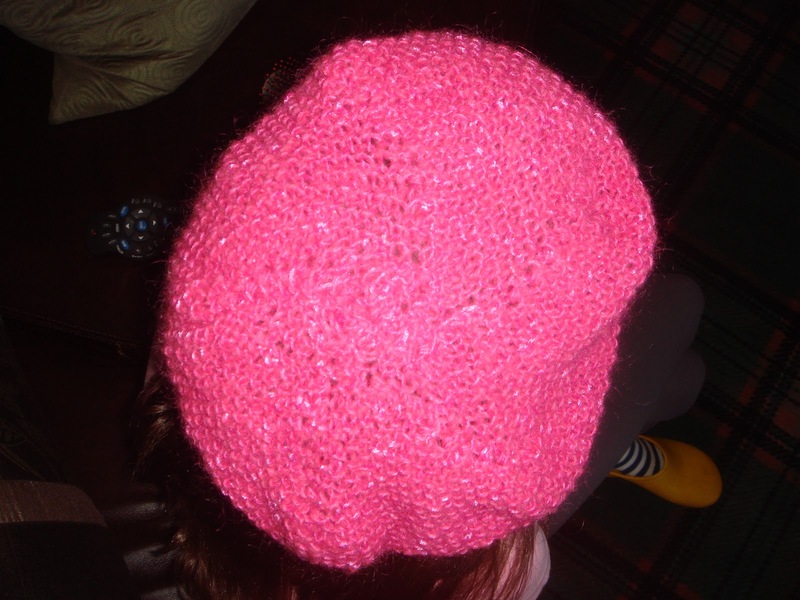 Me - obsessed with my knitting! !